Intel is expected to launch a new range of mobile (U-Series) CPUs to take the place of its current-gen Kaby Lake-R processors in the coming days/weeks. The new processor range will be dubbed Whiskey Lake and will continue to be fabricated on the 14nm process, the same 14nm++ used for Kaby Lake-R, to be exact. However, the processors have been further optimised to deliver greater clock speeds within the same power profile. The above Core i7-8565U offers, for example, a 500MHz turbo speed advantage over the Core i7-8550U (Kaby Lake-R). A turbo clock improvement of identical magnitude is seen in the Core i5-8265U, compared to its Core i5-8250U (Kaby Lake-R) predecessor. 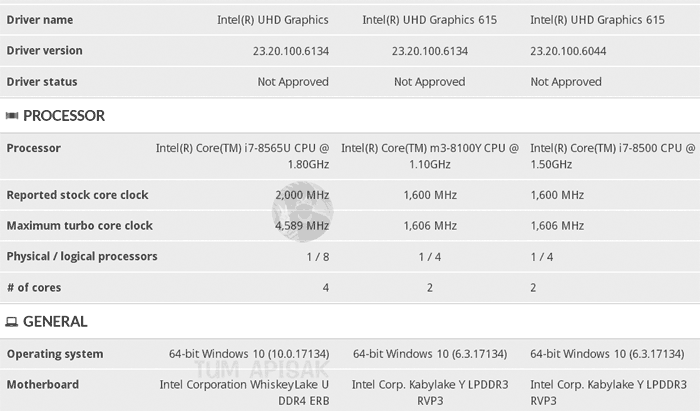 According to previous info from Intel, Whiskey Lake-U will deliver up to double-digit performance gains over Kaby Lake-R. Obviously the significant hike in turbo clocks achievable are major contributors to that performance. Over at WCCFTech it was noted that both the new Whiskey Lake-U SoCs, detailed above, are advertised as powering the Haier Bo Yue series laptops. Pricing and availability for these Haier laptops has yet to be revealed - probably waiting for the nod from Intel. Made to look good on spec sheets, IMO, not in the real world. 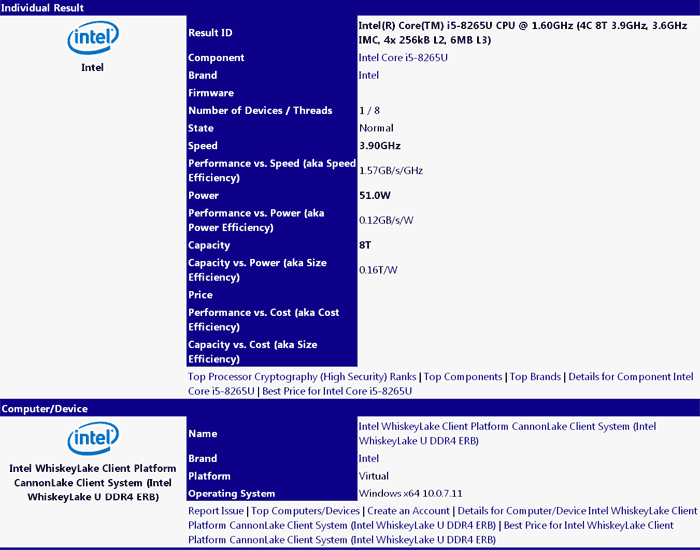 Why ask for a 15w TDP just to get a chip which aggressively boosts way up to 4.5GHz and overwhelms system cooling? I can feel fingers burning on notebook chassis from here. Damn straight. One minute you're opening Visual Studio, the next your crotch is on fire. Registered just to say this. It will be very much crotch burning. I use a 15W Kaby Lake MacBook Pro and under heavy loads it goes well over 90 degrees Celsius. At that point the metal exterior becomes too hot to touch unless you like the idea of burning your hands. And that CPU isn't even close to this in terms of specs. I find it hard to believe that pushing this thing to it's limits will keep to that exact TDP profile. Especially with Intel, TDP is nothing but a rough estimate. Lets see how these chips run under load.